12 Jan, 2018 by	Margaret M.
A New York Democratic politician has now been indicted after months of investigation led to the conclusion that Pamela Harris had been getting into all sorts of trouble, including allegations of defrauding government agencies of tends of thousand of dollars, including the governmental arm in charge of granting Hurricane Sandy relief funds. Pamela Harris, an assemblywoman for the State of New York, has also been charged with wire fraud, false statements, bankruptcy fraud as well as witness tampering and the obstruction of justice. Initial court documents indicate that when the investigation into Harris began, she urged possible witnesses to lie to the FBI agents who were conducting interviews. In total, she is charged with stealing $60,000. Harris, 57, has allegedly bilked almost $25,000 from the Federal Emergency Management Agency fund to help victims of the 2012 Hurricane Sandy, and local papers are reporting that she spent the money on vacations, cruises and buying lingerie at Victoria’s Secret. Odd that a woman of Harris’ vintage would focus on Victoria’s Secret as a place to drop cash, as the company, especially their Pink arm is aimed at college-aged women. A few years ago, they were under fire for a spring break campaign that appeared to be aimed at 15 year old women despite the very adult content of the items being sold. But, if you’re going to be taking money from the government and think you can get away with it, may as well buy lingerie meant for women 30 years younger, too. Harris, representing Brooklyn, allegedly took the money as it was pouring in to alleviate the aftermath of a weather event that took the lives of 24 people on Staten Island alone. Her federal indictment alleges that she spent $10,000 of the total on vacations, while the newly homeless residents around her suffered. The $25,000 granted by FEMA was obtained through faked paperwork for a rental home while her home on Coney Island was still standing, the rest of the funds were taken from other state and federal funds. Currently, Harris is free on a $150,000 bond hours of being arrested for her crimes that took place between 2012 and 2016. Her attorneys have called her an “invaluable community organizer and a well-regarded legislator,” and that they are “disappointed” at the indictment. 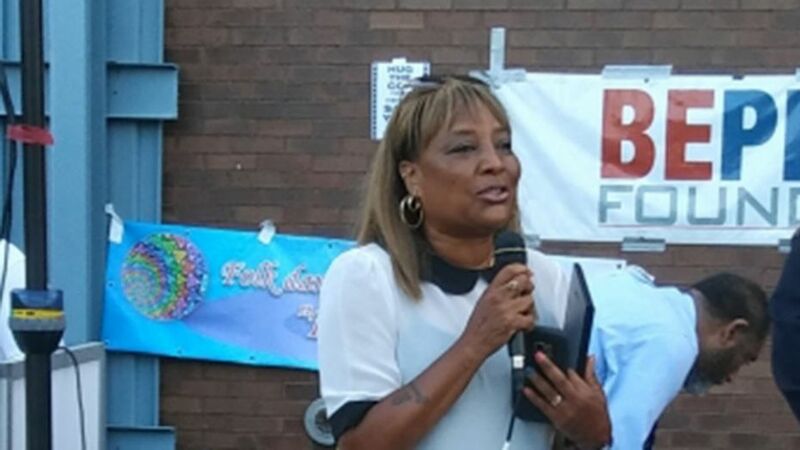 Harris, who has pleaded not guilty, had previously been accused of taking $34,000 from the city council while she headed up a non-profit mentoring group on Coney Island. After she stepped down from that position in 2015, she ran and won for the Democrats to the Assembly. Her previous job experience was as a corrections officer.